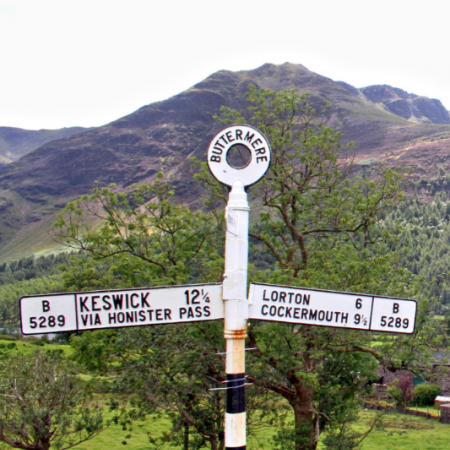 This dramatic tour is one of the great walks of England. Start out on the beautiful sandstone cliffs and beaches of St. Bees on England’s west coast, home to kittiwakes, shags and fulmars, and finish on the east coast, the Dinosaur Coast at Robin’s Hood Bay, where it is said the legendary Robin Hood spent many quiet years fishing after his escapades with the Sherriff of Nottingham. 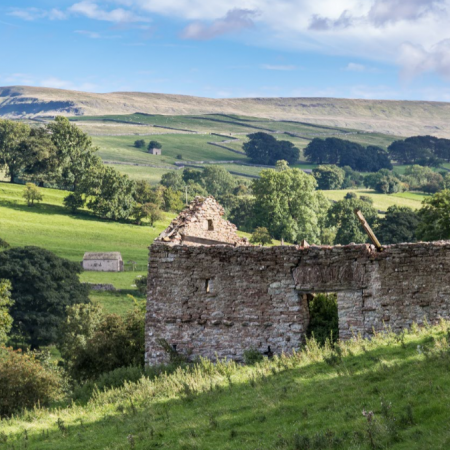 Inspired by Alfred Wainwright, the tour has all the poetry of the Lake District, the romance of the Yorkshire Dales and the grittiness of the North York Moors, three of England’s greatest National Parks. 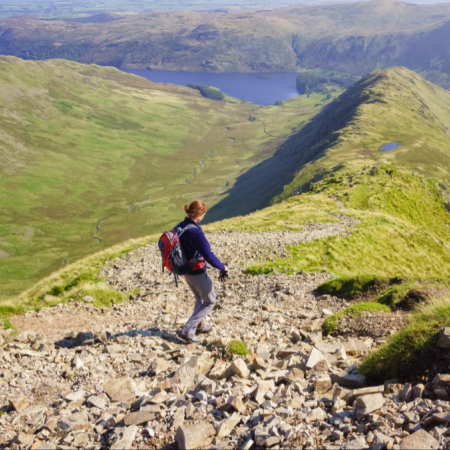 At 190 miles and an ascent (and descent) of 22,825 feet, the crossing of northern England is for the more experienced walker. It takes between two and three weeks to complete. But you don’t have to walk it in one fell stride, you can take in the beautiful lakes and mountains of the Lake District, then the rivers and dry stone walls of the Yorkshire Dales, and finally the rugged wilds of the North York Moors, dipping your toe in the Irish Sea on the west coast and in the North Sea on the east coast in different years.